Decision Science News is a fan of the management group at UCSD and encourages readers to apply for this position. Next review date: October 15th, 2018. Apply by this date to ensure full consideration by the committee. Final date: May 31st, 2019. Applications will continue to be accepted until this date, but those received after the review date will only be considered if the position has not yet been filled. 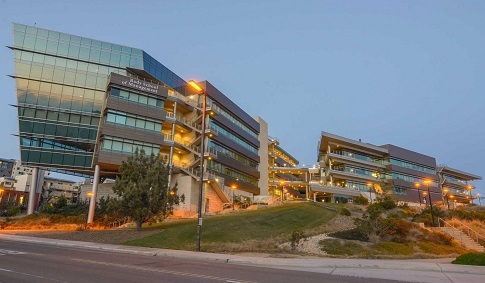 The Rady School of Management (http://rady.ucsd.edu) at UC San Diego is committed to academic excellence and diversity within the faculty, staff, and student body. The Rady School invites applications for one or more open-rank faculty positions at the assistant professor level (tenure-track) in the area of Management. Candidates must have a Ph.D. or be working toward completion of a Ph.D. by the start date of the new academic year (July 2019). Preference will be given to candidates whose research interests include judgment and decision-making, social psychology, organizational behavior, or people analytics. The School seeks candidates whose research, teaching, and/or service has prepared them to contribute to our commitment to diversity and inclusion in higher education. Applicants are asked to submit a detailed vita, statement of research, statement on diversity, relevant research papers, and 3-5 reference letters via our on-line submission web site: https://apol-recruit.ucsd.edu/apply/JPF01861. Review of applications begins October 15, 2018, and continues until position(s) are filled. For applicants interested in spousal/partner employment, please visit the UCSD Partner Opportunities Program web site: https://aps.ucsd.edu/services/pop/index.html. UCSD is an affirmative action/equal opportunity employer with a strong institutional commitment to excellence and diversity (http://diversity.ucsd.edu). Professorship in Management at UC San Diego was written on August 28, 2018 and filed in Jobs.